If you spot any 11.5's for around that price lmk. These kind of grew on me but I don't really wear Sauc anymore. Some decent sales with scattered sizes. tyrhung and jbobito like this. migu420, phil32 and thecheef like this. 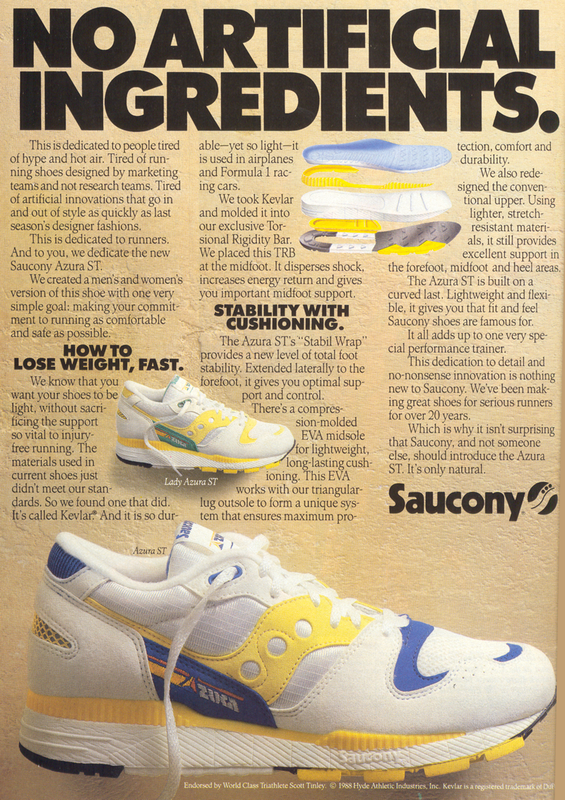 the azura is one of my all time fav sauconys, but these reissues look ehhh compared to vintage pairs. No one, charmessence, jbobito and 1 other person like this. migu420, No one, GrizzlyAnimal and 8 others like this. Anyone looking for Kushwhackers? Might be offing my pair. DS US11. reefer jazz, migu420, No one and 7 others like this. Not my listing, but there's someone on ebay selling 4 pairs of 9.5 Oktoberfests for $84 with free shipping, and you can use the 15% off code PICKUPSALE today, too. $72 for these is straight-up larceny. sdsualum, snkrfollower and HienDinh like this. GrizzlyAnimal and c flyness like this. verse001 and jbobito like this. No one and sdsualum like this. Blake P, verse001, reefer jazz and 6 others like this. Just copped the Oktoberfest pair for $67 shipped from Saucony.com. Only size 9.5 left. They make no mention of the Azuras in the pic, but digging the CW. I need to do some more digging as to where/when those are coming. leisurejunkie, trahe100606, migu420 and 8 others like this. Blake P, my78meth, willie mcfly22 and 1 other person like this. Agreed. Nothing has caught my eye lately. Just hunting down older collabs that I missed out on.